Remember, this item is not in stock right now, but you're welcome to pre-order it. The item should be in stock in Late November, and we'll send you an Email when it's ready to ship. F: Laminated 3" by 5" durable cards. Introduces children to first words and common objects. Features colorful picture on front and word on back. Print/Braille cards; Braille is written on both front and back. Works well for blind and sighted adults and children. For families who like to take school on the road, this portable set of learning tools may be just what you're looking for. Each set of Print/Braille cards comes in a box that opens at the end, meaning no rubber-bands are needed to keep the box self-contained. This set introduces preschool- and kindergarten-aged children to easy-to-read yet fundamental words and everyday objects in their world. Perfect for both blind parents with sighted children - and sighted parents or teachers with blind children. The cards themselves are the size of a 3" by 5" index card, though naturally they're thicker and laminated for years of enjoyment. What's more, each card sports full-color printing and raised Braille labeling so everyone can play and learn. 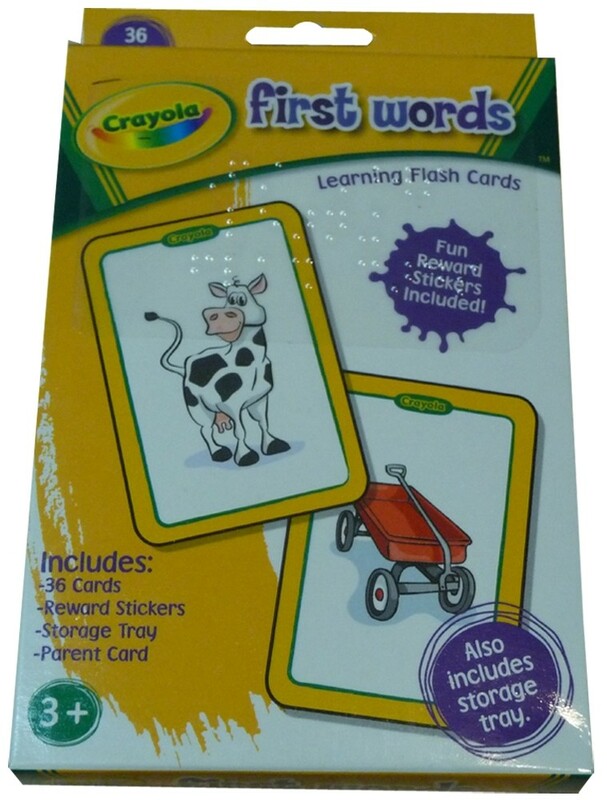 Each flash card in this set has the picture on the front, and the word on the back. Of course, both sides are carefully marked with Braille.